Report of an interview recorded in 1995. Recordings and transcripts of interviews with returned soldiers from all conflicts. - See especially the transcript of the story by World War 1 veteran from the Western Front Ted Smoult. - To find a former soldier you are interested in use the Search page. 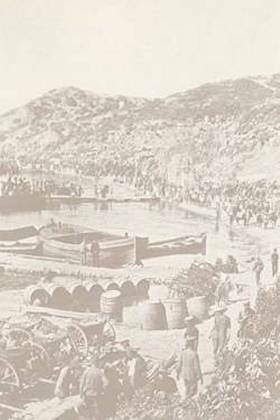 Videos and transcripts of interviews with Gallipoli veterans.